Audrey Lorraine (Rose) Lipke, 88, of Glencoe, died Saturday, July 25, 2015. Casket bearers were Mrs. Lipke’s grandchildren, Christopher Susag, Peter Susag, Lisa Rolf, Beth Rehfuss, Mike Tschida, Becky Niznik, Megan Brandt and Geoff Schatz. Interment was in the Glencoe City Cemetery. Audrey Lorraine (Rose) Lipke was born Feb. 25, 1927, in Winthrop, the daughter of William and Bertha (Buboltz) Rose. She was baptized as an infant on March 20, 1927, by the Rev. J. Weise in Winthrop, and was confirmed in her faith as a youth on March 17, 1941, by the Rev. H. Winter at Immanuel Lutheran Church in Gaylord. She attended country school in Penn Township. On March 16, 1947, she was united in marriage to Lloyd Lipke by the Rev. E. Stahlke at Immanuel Lutheran Church in Gaylord. The couple made their home in Glencoe, Pequot Lakes and Pine River before moving back to Glencoe in 2004. Their marriage was blessed with four daughters, Sandra, Patricia, Lila and Julene. Audrey and Lloyd Lipke shared 68 years of marriage. Mrs. Lipke was a hardworking woman who always put faith and family first. She worked at various places over the years, including Plieseis Store in New Auburn, Busch Brothers in Gaylord, Northwestern Bell and then at Lee’s Super Valu in Glencoe. 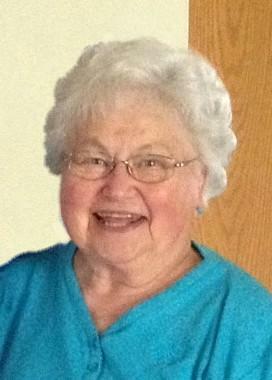 She was a member of First Evangelical Lutheran Church in Glencoe. She loved being outdoors fishing and gardening. She enjoyed golfing, bowling, dancing, playing cards and traveling, especially to Texas. She especially cherished spending time with her family, grandchildren and great-grandchildren. She is survived by her husband, Lloyd Lipke of Glencoe; children, Sandra (Richard) Susag of Alexandria, Patricia (Michael) Gavin of Glencoe, Lila (Paul) Tschida of Pierz and Julene (Tom) Schatz of Glencoe; grandchildren, Christopher (Kirsi) Susag, Peter (Noreen) Susag, Lisa (Clifford) Rolf, Beth (Bill) Rehfuss, Mike (Cara) Tschida, Becky (Brent) Niznik, Megan (Eric) Brandt and Geoff Schatz; great-grandchildren, Noortaj Susag, Will Rehfuss, Ryan Tschida, Luke Tschida, Ellianna Tschida, Daniel Niznik, Lydia Niznik, David Niznik, Nicholas Brandt and Hannah Brandt; stepgrandchildren, Casey Gavin, Michael (Tracy) Gavin and Katharine Hanold; nephews, nieces, other relatives and many friends. She was preceded in death by her parents, William and Bertha Rose, grandson, Mark Tschida; infant granddaughter Susag; infant great-grandson, Jacob Brandt; and sister and brother-in-law, Rubie and Orville Uecker. Arrangements were with the Johnson-McBride Funeral Chapel in Glencoe. Online obituaries and guest book area available at www.hantge.com.